When you want the make the best impression of your business, it’s worth it to hire a professional video editor to organize your raw footage, look at it in a new perspective and prepare it in a way that provides you with high quality results and a polished finished product. 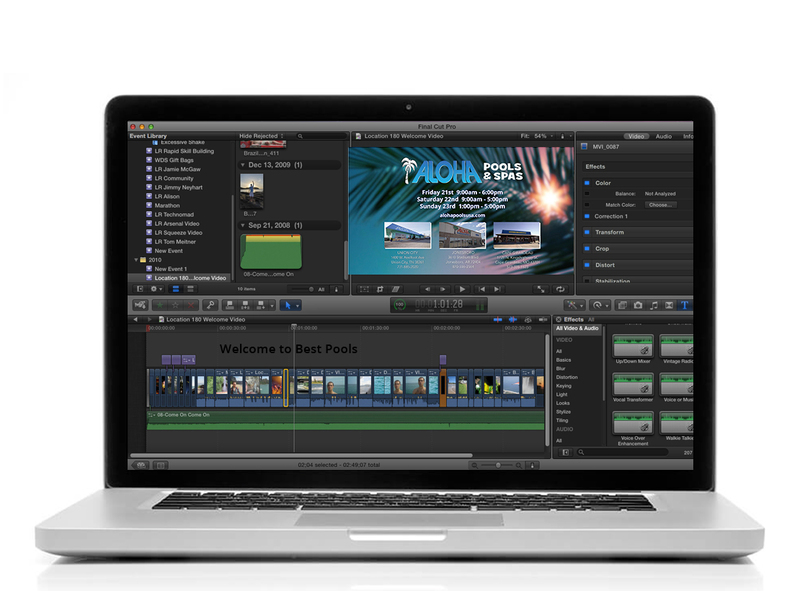 Let us help tell your story with our professional Video Editing Services. During the editing process, we craft footage together, skillfully weaving each element into your captivating story to create well branded, engaging videos. Do you have raw footage or voice-over narration and need a great looking, high quality video for your businesses’ website, social media, and email marketing campaigns? With our professional Video Editing Services, we can transform your video footage into a beautifully branded video for your business. Simply send us your drone or GoPro footage, digital raw footage, images, screen captures, 3D project renderings or anything else you want in your video, and we skillfully weave each element into your captivating story using our professional Video Editing Services. MVM Studios is the first glass mosaic factory in America specializing in contemporary glass tile, glass pebble, and custom mosaic glass. They wanted to share their story through video and contacted Pool Marketing Site to help. We incorporated videography mixed with old family photos to tell the incredible story of MVM Studios and encourage pool and spa builders to use their beautiful products.